As you may or may not have been aware, last week saw us celebrating World Environment Day (WED) on the 5th of June. 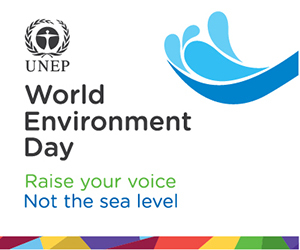 WED is the United Nations’ day to promote awareness and positive action for the environment on a global scale. Across the world, communities, individuals, businesses and charitable organisations have been taking part in raising awareness, collectively working towards building a sustainable future to protect our environment. As 2014 has also been designated the International Year of Small Island Developing States by the UN, WED 2014 reflected this in its theme, in order to highlight and build global understanding of the challenges that climate change presents to these small nations. Small Island Developing States, or SIDS, face many of the same economical and natural challenges that larger, developing countries face, however these problems are only accentuated by their small size and isolation. Many SIDS are low-lying, and are therefore much more vulnerable to the rising sea levels. Climate change and the ever increasing extreme natural disasters, threaten coastal and marine resources, tourism and land management, all of which SIDS rely on heavily for social and economical survival. Waste Management is an important but complicated challenge for SIDS, due to their small land mass and lack of other resources. These factors, combined with increasing pollution due to growing population and marine debris, add up to hinder the management of waste. Unfortunately, waste in SIDS is usually highly visible, threatening both tourism and local wildlife. It’s not all doom and gloom though! We are seeing an increasing awareness from SIDS themselves; American Samoa has banned the use of plastic bags, to ensure they are not adding to their waste problem. Palau has also taken steps to ban commercial fishing from its waters, with the hopes of increasing eco-tourism through scuba diving and snorkelling. 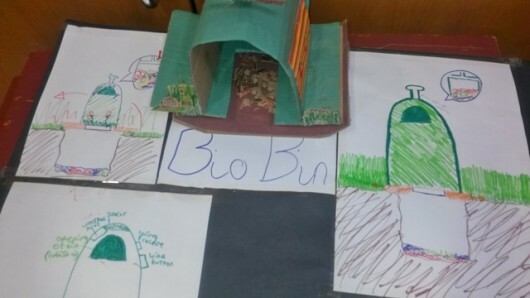 Our Green Dragons programme challenges students to create an eco-product and this week we saw the creation of the Bio Bin. Maybe this bin could help SIDS to manage their waste: the solar panelled mechanism compresses waste, speeds up decomposition and even converts waste into fuel! This product was designed by our Year 10 Green Dragons last week: a simple device to fit into a gutter, the turbines are turned by the rain, creating energy which is then stored to power the building, providing clean and sustainable energy! Even with plentiful rainfall, fresh water supplies in SIDS are hard to maintain in both quality and quantity. This may be due to poor storage facilities, human and animal waste, pollution and limited groundwater supplies. The Seychelles government have recently invested in educating their citizens on the importance of rain water harvesting, and the efficient use of water. This has proven to be a step in the right direction as several schools reported saving up to US$250 on water-related expenses! Again, our Green Dragon programmes have seen the invention of various products to improve and sustain fresh water supplies, these include rain water harvesting umbrellas and raincoats! 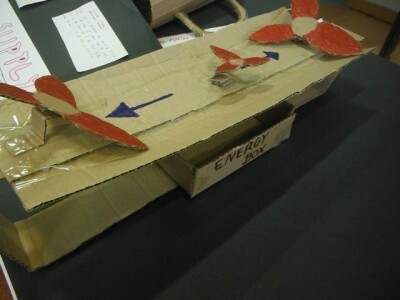 So, maybe in the future we will see innovative products such as these being used around the world to help tackle challenges presented by climate change!